You are at:Home»Web»Java»Why & When Use Java 8 Compact Profiles? Why & When Use Java 8 Compact Profiles? The article presents a perspective on different aspects of compact profiles in Java 8 including relevance of this feature in the first place and, when would you want to use it. As I am also getting up to speed with compact profiles, I do understand that there could be further detail to it that I might have missed and thus, would appreciate if you could share your perspectives as well. The primary motivation behind “Compact Profiles” feature is to allow applications run on resource-constrained devices without having the need to require the entire Java SE Platform. In simpler words, the applications that do not need Swing/AWT/2D graphics libraries would only use a profile which does not contain those libraries. That would, thus, reduce the overall size of the platform libraries achieving a considerable space savings. When to use Compact Profiles? Selective Java runtime for applications thereby reducing overall memory footprint. This becomes much more important if you are planning to make your application downloadable. Often, larger download size is one of the reasons your application do not get downloaded. Irrespective of download size, would not we want our application footprint to be as less as possible? 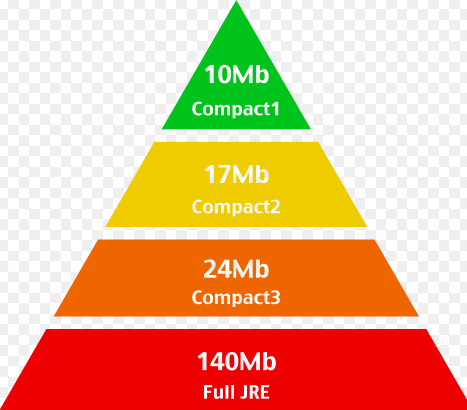 That would only mean that sooner than later, compact profile would become a way of life with Java developers and, enterprise would start considering usage of this feature and how to migrate their existing setup. Selective Java runtime on smaller devices. As you start thinking of future, when wearables & internet of things and related technologies take center stage as result of smart appliances coming into picture, compact profiles would have tremendous role to play owing to its characteristics of reducing memory footprint. He has also authored the book, Building Web Apps with Spring 5 and Angular. Next Article Why Facebook’s Hack May Fail to Fly With PHP Developers? Vitalflux.com is dedicated to help software engineers get technology news, practice tests, tutorials in order to reskill / acquire newer skills from time-to-time. Thank you for visiting our site today. We welcome all your suggestions in order to make our website better. Please feel free to share your thoughts.